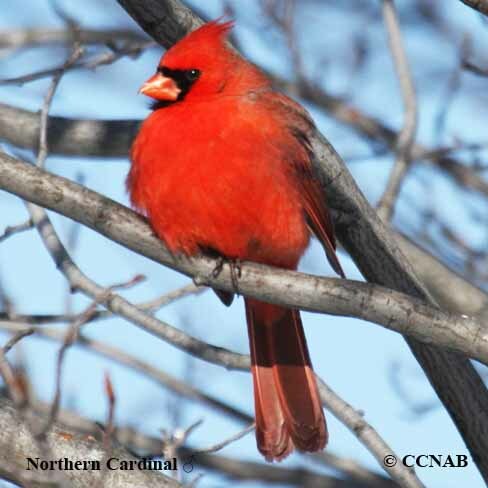 Species: The Northern Cardinal (Cardinalis cardinalis) is a popular sight to see amount birdfeeders in the winter months. 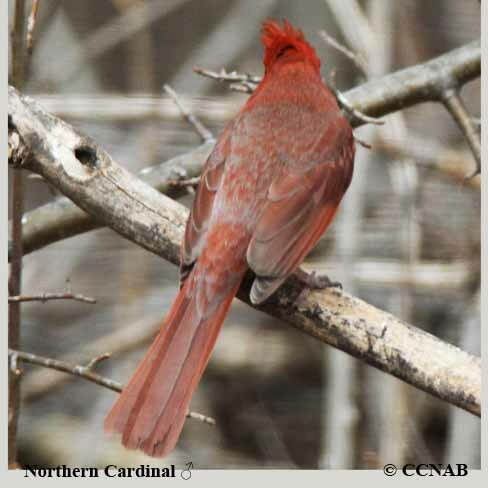 The red plumage seen on the male gave it its name, when compared to the cardinal's red clothing. 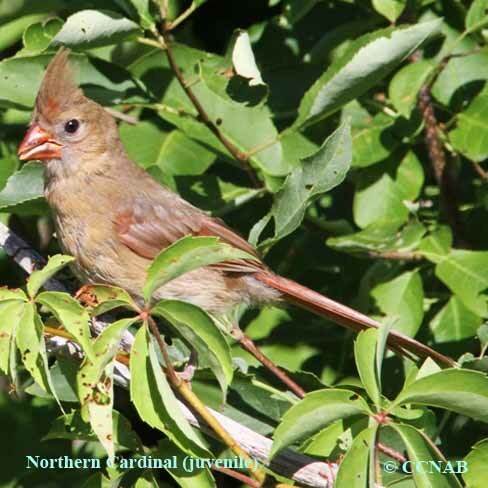 Although, the Northern Cardinal has been seen in Canada for many years, it was not until the late 1970's or early 1980's, that there was proof of them nesting. 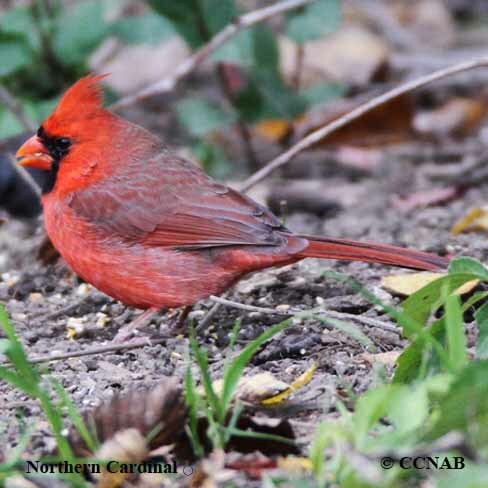 Distinctions: Sexually dimorphic, the male has a red body, crested head with a black face. 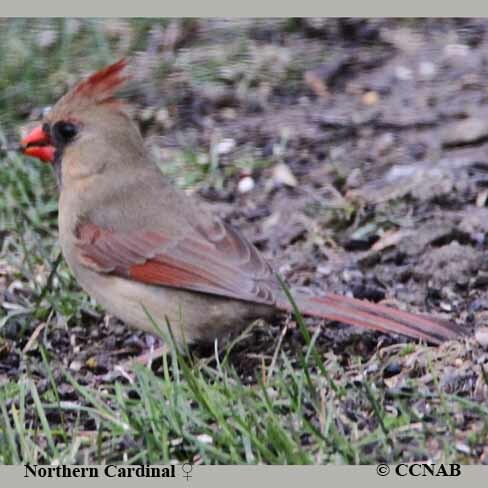 The female is light brown with red tinges on its wing and tail feathers, some black around her eyes. The juveniles are similar to the female, except for having a black bill instead of red bill. 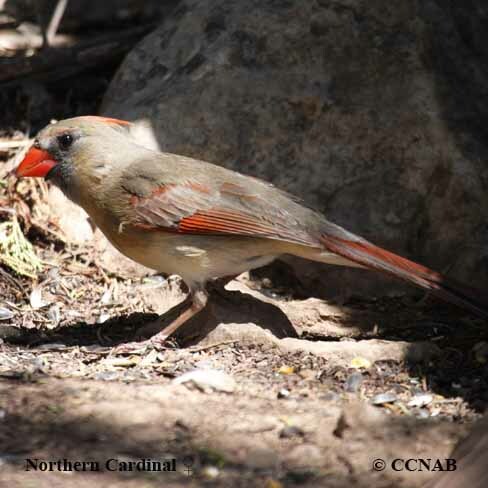 Voice: Both the male and female sings, different from most bird species, the cardinals sing all year long. 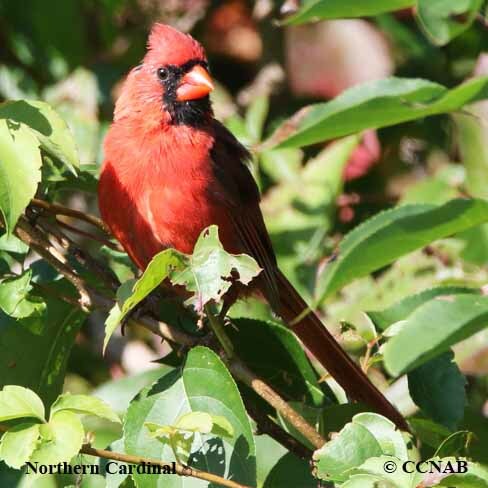 Although, they are secretive birds, it is not uncommon to see them perched on a limb in the opening, when singing. Nesting: Four to six pale green eggs with reddish-brown spots, with as many as four broods per year. Distribution: Found throughout all areas where there are thickets or heavy bush. Expanding farther north every year, this is being accredit to outdoor feeder stations being put out in the winter months. Seen from Nova Scotia to south of the Canadian borders in the central USA, down into Arizona to the southern tip of Florida.